No, Thank You!!! Available for Preorder! 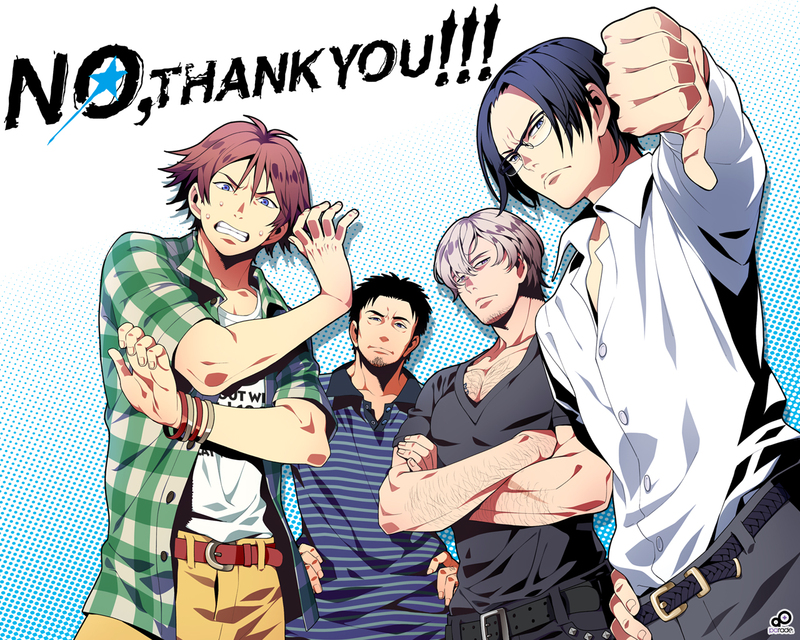 Preorders for our very first BL game, No, Thank You!!! are now open! Get your order in before the game goes on sale on February 27th for 10% off! From the outside, sótano looks like a cozy little jazz bar, but behind the scenes they solve problems that the police and legitimate detective agencies won’t touch. The staff there give our protagonist the name “Haru”. He gradually makes his way deeper into the organization, and the hearts and lives of the staff, while working as an apprentice bartender. But just who is Haru really…? 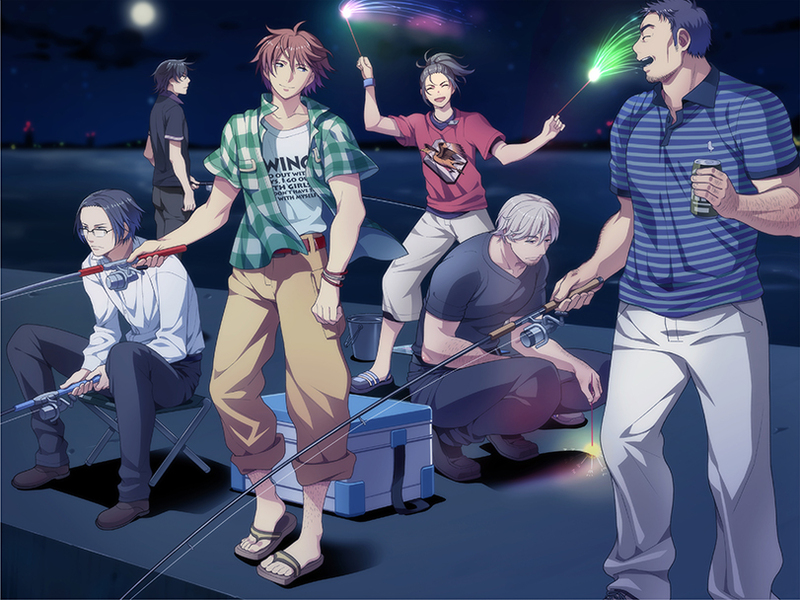 Developed by pa-rade, a new BL game brand comprised primarily of employees of seasoned eroge developer ClockUp––including artist Shigeo Hamashima––No, Thank You!!! sports an elegant and modern interface, 1024 x 768 (fully uncensored) graphics, and a whole slew of unique features (character body hair settings, background vocals, and more!). While this is the first foray into the BL genre for most of the development team, they do not disappoint! The game eschews many of the genre’s conventions, creating a rather refreshing (and titillating) experience. You’ve never seen BL quite like this before! For more information about the game, visit the game site or take a moment to check out the free demo. Tagged BL, No Thank You, pa-rade. Already pre-ordered! Really loved the demo so here’s hoping NTY does well! How do I order? If I can the click it says forbidden. For some reason, I can’t preorder the game. There must be a problem with the credit card I’m using.